Hello everybody! 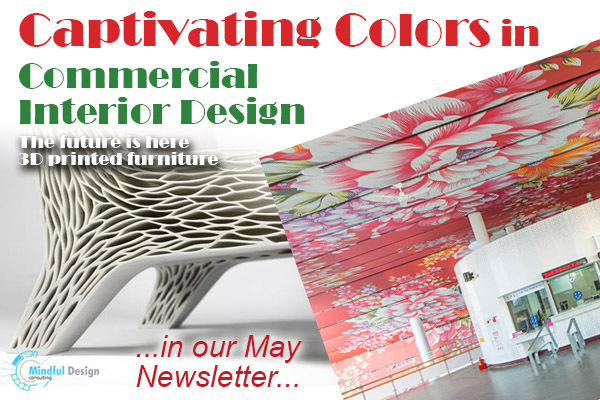 In our May newsletter we will share some incredible colors that were used in commercial interiors around the world. All the colors in our environment, natural or man-made, are perceived by our eyes and processed by our brain in a few milliseconds. Based on that information we judge what we see or get emotionally stimulated. Look at the images below and ask yourself what thoughts and reactions do you get looking at these spaces. And how can you improve your business space by using colors? In our Green News below learn about the future of furniture design which will save time, money and may even save our planet! 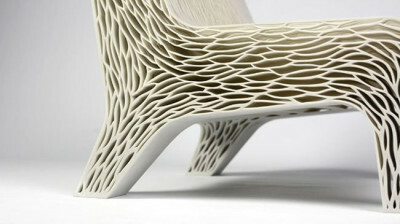 Have you seen 3D printed furniture yet? If you missed it, read our January newsletter about the latest trends in commercial interior design. Are you working from a co-working place? If not you should try. Co-working offices is one of the fastest growing business models around the globe and some hire talented interior designers to design their interiors. Learn more about this colorful co-working space in Thailand. Why do new train stations have to be so industrial in grey or white colors? Why not make them pink? 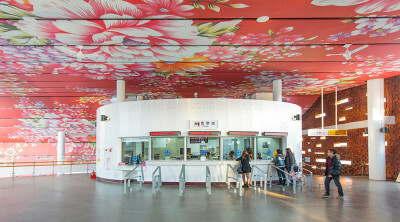 Take a look at this train station interior design in Taiwan and let us know what you think. Children's hospital is a sad place to visit. 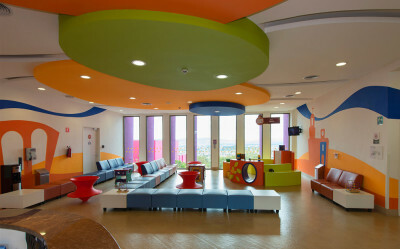 These Mexican interior designers came up with a fun inspiring concept full of bright colors for a Queretaro rehab center. Any school is a place of inspiration and learning. 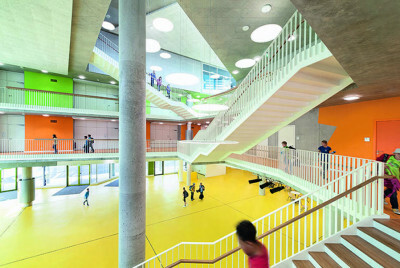 Take a look how this school in Munich figured out some unique ways to stimulate students' minds. 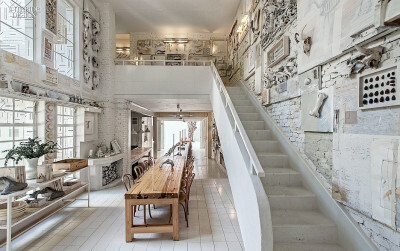 Who can say that white color is boring looking at this unique restaurant interior design? 3D printing is one of the fastest growing fields which will change the design industry into something completely different. Take a look at some of the first 3D printed furniture pieces.